Offering you a complete choice of products which include waste water treatment enzyme chemical. 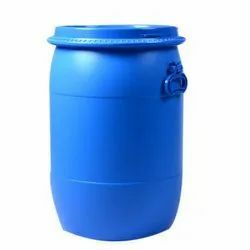 We are offering of Waste Water Treatment Enzyme Chemical. In addition to Microbial cultures, Sudarshan now offers Enzymes manufactured by Great Lakes Biosystems Inc. Most of the Biological Treatment Plants treating complex effluent face problem in biodegrading the Refractory organics present. This is due to the complexity of organics & limited biological activity. Enzymes help in improving performance of Biological System by accelerating bioactivity resulting into improved biodegradation. Increase the methanogenic rate & hence the gas generation in biodigester.